I was so excited when I found my favorite Coach frames on Frames Direct. I have had my old, same frames for four years. I love the look and the color. When I went to Lens Crafters last year, they said they couldn't get the same ones I had. I got some different ones and wasn't happy with them at all. I was pleasantly surprised with how well these work! This is my first experience with transition lenses and I love them! The frames are perfect and I'm so happy with my new glasses. Great value for the price! When purchasing these glasses, I did not realize that the thick arms (temples) on the side of the glasses would obstruct my vision so much. I really like the glasses a lot, but am contemplating returning them for this reason alone. They really are beautiful though. 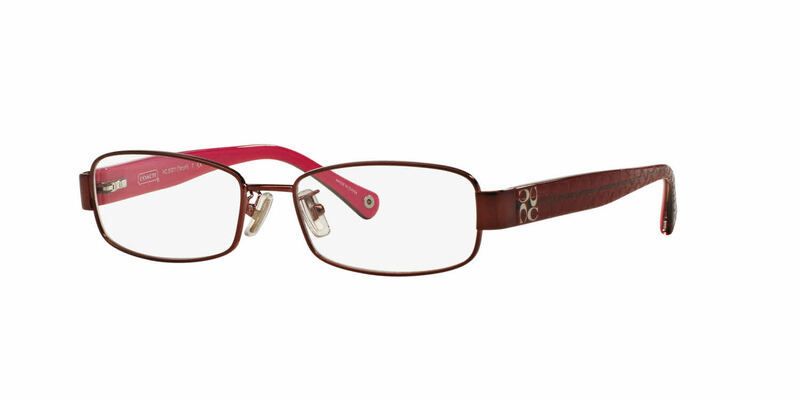 They also have spring hinges on the side which make the glasses fit easily over wide faces.